If you’re worried about looking too girly, fret no more because these nine items have just the right amount of cool-girl vibes and ladylike charm. So even if you’re not typically a pink-wearing type of gal, scroll through to shop the stylish pieces that are sure to make you want to wear the rosy color! 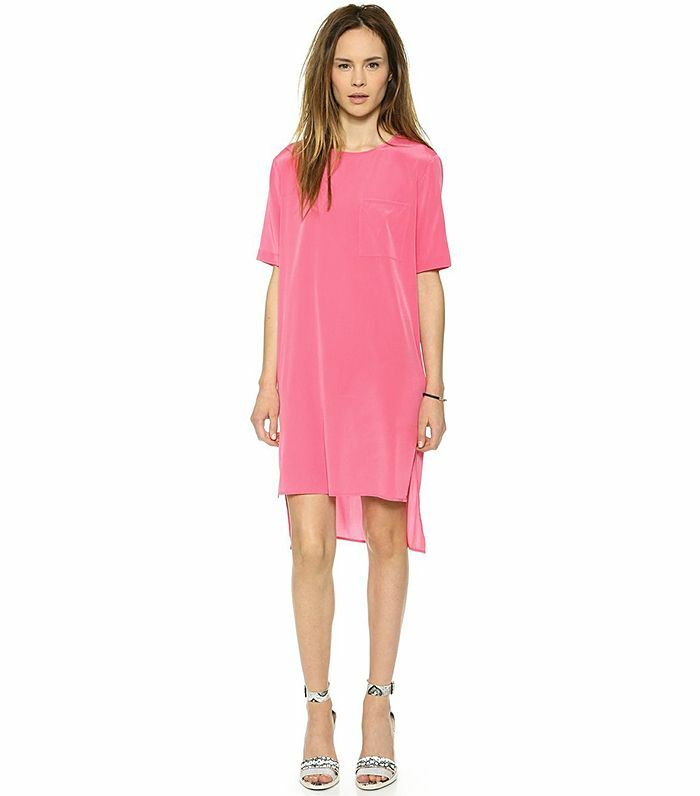 Wear this loose dress for day or night—either way, you’re sure to stand out (on a good way!). You are sure to have a great night in this breezy open-back top. Add this powder pink clutch to your next outfit for a sweet and girly vibe. Style these boyish shorts with a simple cami and flat sandals for a cool daytime look. The perfect motivation to actually work out this summer. Try wearing this skirt with an oversized jean jacket and your favorite strappy black sandals this weekend! The non-girly way to add pink to your next outfit. Still looking for a new swimsuit this summer? We found a winner!